Browsing articles tagged with " Eczema"
Jack is a 6 yo boy, who complained itchy and rash for 2 years. The itchy started on his inner elbows gradually spread out along his wrists, behind his knees and ankles. His itching was slowly getting worse, he went to dermatologist. He was diagnosed of eczema and given topical steroid creams. He used it for about two months, he felt some improvement in the first month, he had no any relief at the second month. He continued to feel very severe itchy, and cried during night with poor sleep. 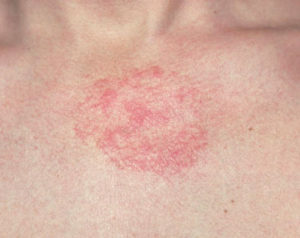 He had poor appetite and gradually became thin and the rash started to spread to trunk and chest. Jack scratched his skin, which caused skin lesion with some fluid leaking out. His itch and rash became worse. He came to my office and asked for help. 1. Atopic dermatitis: this is the most severe and chronic (long-lasting) form of eczema. It’s characterized by itching and inflamed skin that may release a clear fluid when scratched (an effect known as weeping). 2. Irritant contact eczema: this is a localized skin reaction to an irritant, and is often caused by acids, cleaning agents, and certain soaps. 3. 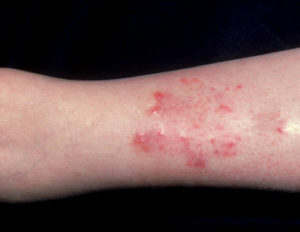 Allergic contact eczema (dermatitis): this is a condition in which the skin becomes red, itchy, and weepy after touching a substance that the immune system recognizes as foreign or that you’ve become allergic to, such as poison ivy, nickel, or latex. 4. 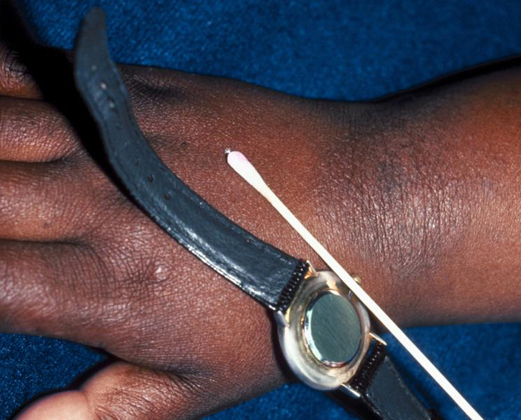 Dyshidrotic eczema: this condition is marked by small deep blisters that itch and burn on the hands and feet. 5. Neurodermatitis (lichen simplex chronicus): this condition is marked by thick, scaly patches of skin on the head, lower legs, wrists, or forearms. It results from frequent rubbing or scratching following a trigger, such as an insect bite. 7. 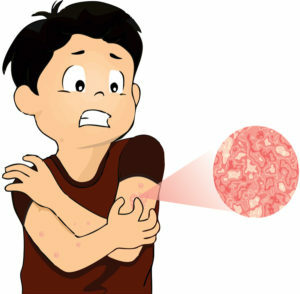 Nummular eczema: this condition is marked by coin-shaped spots of irritation that may be crusted, scaly, or itchy, most commonly on the arms, back, buttocks, and lower legs. 8. 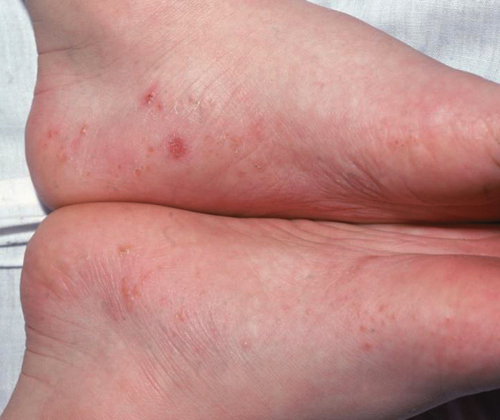 Stasis dermatitis: this condition is marked by skin irritation and inflammation resulting from blood circulation problems. From the above, we understand the key is “itch”. The hereditary and environmental factors cause itch in our body, then we can’t help to scratch, which damages the skin, followed by release of inflammatory chemicals, which causes more severe itch. The above consists of a vicious cycle. 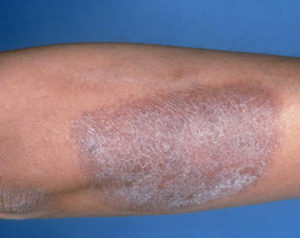 Therefore, the eczema becomes worse and worse. The specific cause of eczema remains unknown, but it is believed to develop due to a combination of hereditary and environmental factors. Children are more likely to develop eczema if a parent has had it or another atopic disease. If both parents have an atopic disease, the chances increase further. 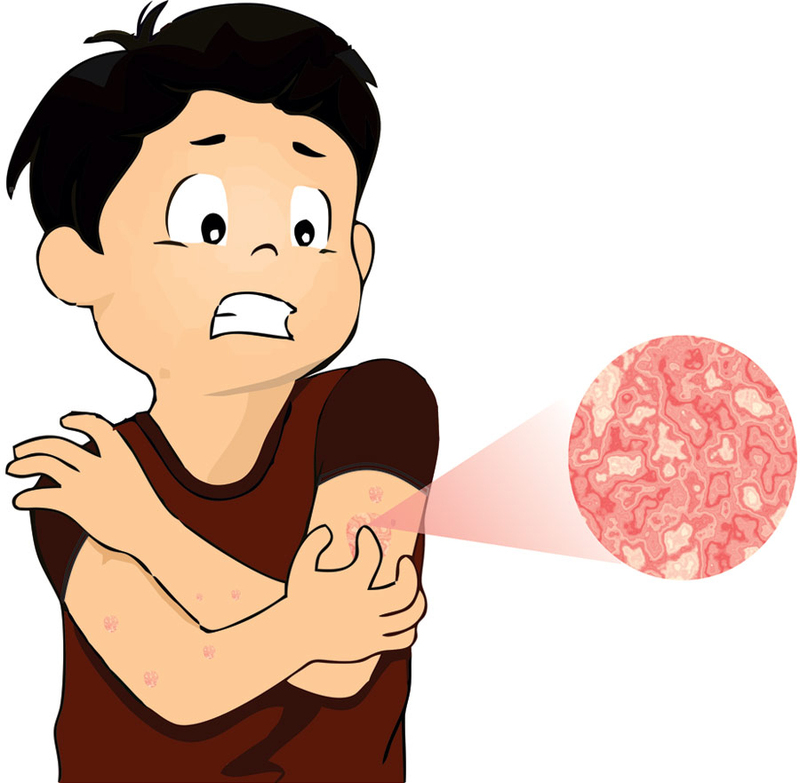 The National Institute of Arthritis and Musculoskeletal and Skin Diseases (NIAMS) report that approximately half of children who develop atopic dermatitis go on to develop one of the other atopic diseases. 7. Hormones: women can experience worsening of eczema symptoms at times when their hormone levels are changing, for example during pregnancy and at certain points in their menstrual cycle. If topical corticosteroids are ineffective for your eczema, your doctor may prescribe a systemic corticosteroid, which is taken by mouth or injected. Only recommended for short periods of time, since they affect the entire body and can cause a number of serious side effects. Topical calcineurin inhibitors (TCIs). These prescription drugs include Protopic (tacrolimus) and Elidel (pimecrolimus). TCIs don’t contain steroids. 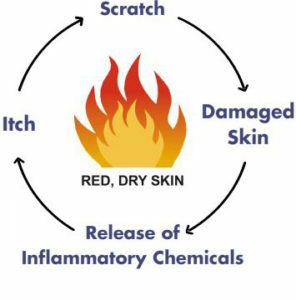 Instead, they control inflammation and reduce eczema flare-ups by suppressing the immune system. But TCIs can only be used for short periods of time, and they come with a boxed warning about the possible risk of cancer that is associated with these drugs. Oral immunosuppressant, such as Neoral, Sandimmune, or Restasis (cyclosporine), Trexall or Rasuvo (methotrexate), or CellCept (mycophenolate). If you develop an infection on skin that’s affected by eczema, your doctor will prescribe antibiotic, antiviral, or antifungal drugs to treat it, depending on the particular cause. Diphenhydramine or doxylamine succinate — to help you sleep through the night. Antihistamines may help prevent nighttime scratching, which can further damage your skin and cause infections. Various protectant repair creams may also help ease eczema symptoms by restoring essential skin components, like ceramides, fatty acids, and cholesterol. Light therapy or phototherapy — treatment with ultraviolet waves — is often effective for people with mild to moderate atopic dermatitis. Skin improvements generally don’t happen immediately after phototherapy, but rather after one to two months of treatments several times a week, according to the National Eczema Association. Burns, increased aging of the skin, and a higher risk of skin cancer are potential side effects of light therapy, particularly if the treatment is given over a long period of time. 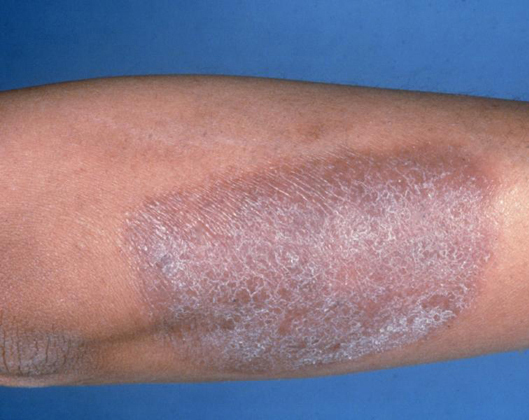 Wet-wrap therapy is another option for severe eczema. Sometimes given in a hospital, this treatment involves applying topical medicines (corticosteroids) and moisturizers to affected areas, which are then sealed with a wrap of wet gauze. Many patients complain of the above treatment are not effective, they are looking for the new methods to help. Traditional Chinese Medicine believes the eczema is caused by wet and hot condition, which accumulated in the skin for a long time without exit, therefore the wet and hot stay underneath the skin leading to skin itch. Avoid hot and spicy food, do not eat pepper, garlic, hot and fried food, and wine, etc., is necessary to prevent the symptom from worsening. Acupuncture: Acupuncture treatment has achieved some good results; the common points used are Dazhui (Du14), Ganshu (UB18), Feishu (UB13), Shenshu (UB23), Xuehai (SP10), Sanyinjiao(SP6), and Zusanli (St 36). The main purpose is to expel the wet and hot out of the skin and internal organs. Cupping: Cupping the above points usually patients will feel quick relief of the symptom. Floating of Wet and Heat: fresh hot rash, severe itching, liquid floating out, accompanied with slightly fever, dry mouth, constipation, yellowish and shot urine, dry tongue with white or yellowish coating. The Chinese herb formula is Longdan Xiegan Tang. 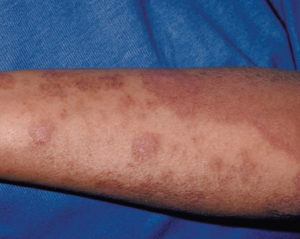 Wet Stasis with deficiency of spleen: dark and red skin, itching, slightly liquid outing, accompanied with bloating, loose diarrhea, big tongue, white and thick coating. The Chinese herb formula is Chushi Weiling Tang. Deficiency of blood and dryness with wind. 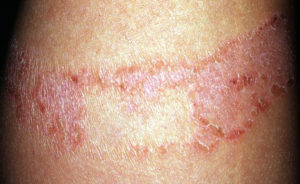 Long period of itching, dark and thick skin, accompanied with thirsty, light tongue. The Chinese herb formula is Danggui Yingzi. 2), Topical Cream: Chinese herb formula, Sanhuangxiexin Tang. The patient underwent about 12 sessions of acupuncture treatment; he also received cupping at his certain points and Chinese herb cream. After first two sessions of treatment, he felt less itching, and he slept much better. He then had much less itch and almost no fluid came out of his skin lesion. He gradually gained full sleep, and finally his itching and skin lesions were gone and his eczema was much improved. He was told to stop eating the hot and spicy food. The most important points are Dazhui (Du14), Ganshu (UB18), Feishu (UB13), Shenshu (UB23), Xuehai (SP10), Sanyinjiao(SP6), and Zusanli (St 36). You may add a few points depending on the patient’s needs, for example, if patient feels stress and poor sleep, you may add Shenmen (HT7), Baihui (DU20), Fengchi(GB20) Fengfu(DU16). Please do not eat hot and spicy food, such as hot pepper, fried food, Garlic, etc.